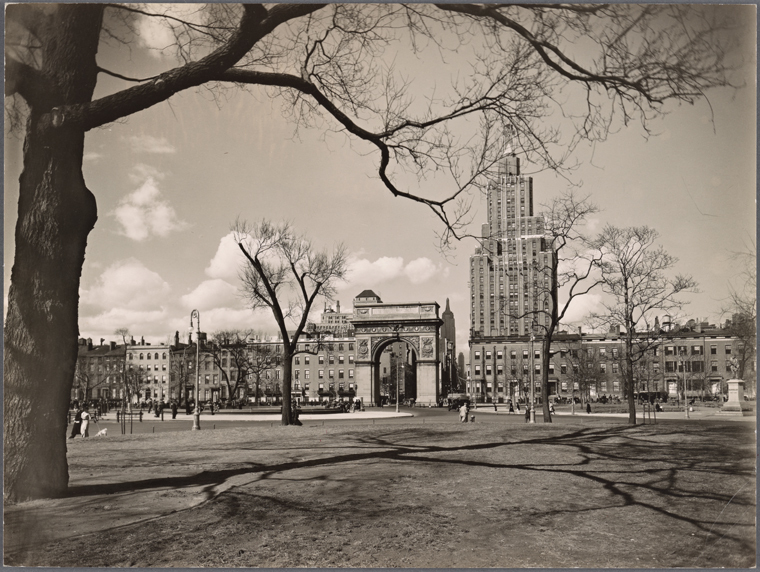 Was the gorgeous elm tree at the northwest corner of Washington Square Park (at left in 1936) used for public executions? It’s a legend passed down over the years. On one hand, a Parks Department web link seems to imply that people were indeed hanged from the 110-foot tree, estimated to be at least 300 years old. In 1797, the city acquired the land for a potter’s field. 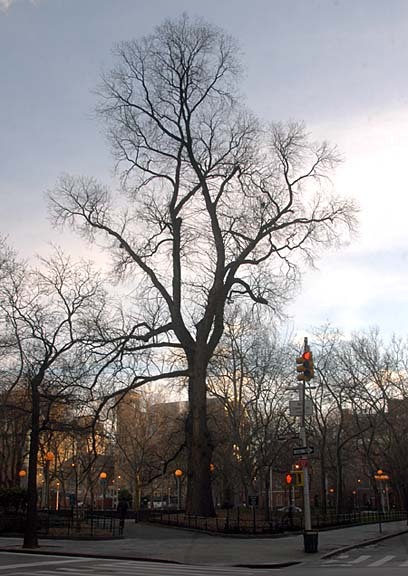 “The field was also used for public executions, giving rise to the tale of the Hangman’s Elm. . . ” another Parks Department link states. In 1824, the Marquis de Lafayette, visiting from France, supposedly witnessed the hanging of 20 highwaymen here in 1824.